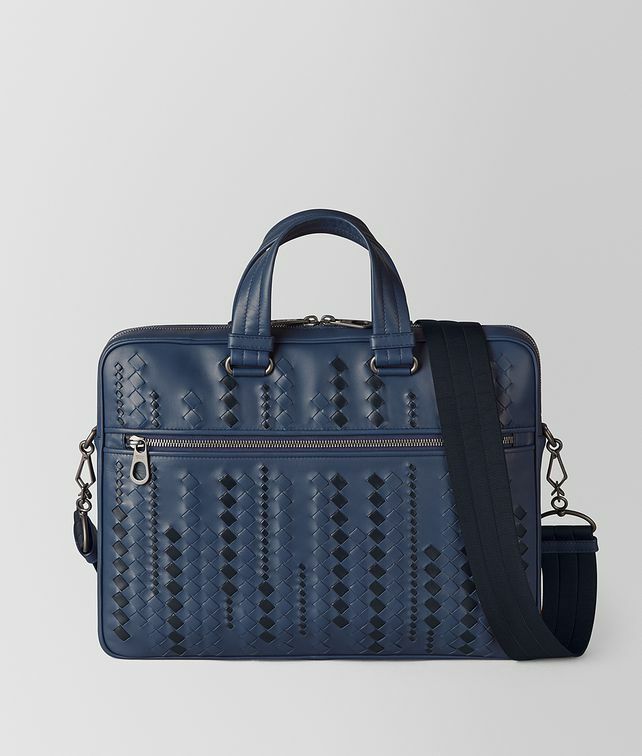 In the new micro-macro workmanship, this classic briefcase features meticulous attention to detail with a variegated diamond intrecciato pattern, the house’s iconic weave. Crafted from supple matt calf leather, it has a detachable nylon shoulder strap and two interior phone pockets. Finished in the signature brunito hardware.